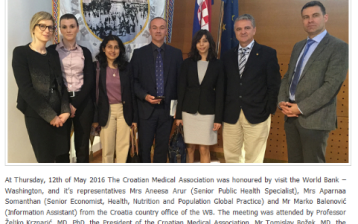 Croatia hosted the 25th ESPEN course in Clinical Nutrition and Metabolic care held in Zagreb from 5th until 10th October 2018. 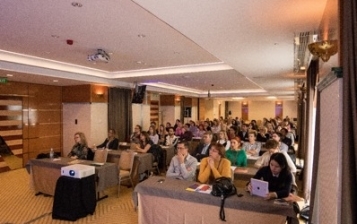 The course, organized by the Croatian Society of Parenteral and Enteral Nutrition, gathered participants from across the world. It had a global, multiethnic and multicultural character, as well as high quality and academic excellence. Indeed, the course brought together 100 participants from 26 countries (Hungary, Thailand, Latvia, Austria, Italy, South Korea, Egypt, India, Poland, Finland, Slovenia, Turkey, Bulgaria, Lithuania, Greece, Serbia, Montenegro, Bosnia and Herzegovina, Qatar, United Arab Emirates, Republic of Macedonia, Romania, Cyprus, France, Estonia and Croatia) and lecturers from 13 countries (France, Italy, Germany, Switzerland, Greece, Poland, Latvia, Austria, Serbia, Bulgaria, United Kingdom, Slovenia and Croatia). During the course, the participants had the opportunity to enhance their knowledge by listening to more than 25 eclectic lectures on the latest scientific data regarding clinical nutrition and metabolic care in everyday practice. 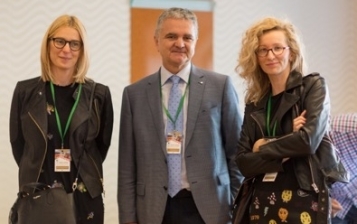 Furthermore, they participated in LLL (Life Long Learning) courses focused on oral and enteral nutrition in adults and the approach to parenteral nutrition. During the course, the participants had the opportunity to enhance their knowledge by listening to more than 25 concise lectures of latest scientific data regarding clinical nutrition and metabolic care in everyday practice. 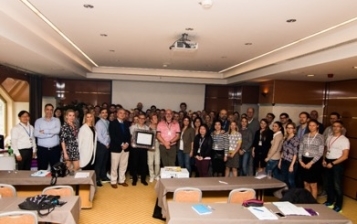 Furthermore, they participated in LLL (Life Long Learning) courses focused on oral and enteral nutrition in adults and the approach to parenteral nutrition. The ESPEN course moreover featured various workshops, case presentations and discussions held by both lecturers and participant, providing active and intellectually rich participation by both parties. 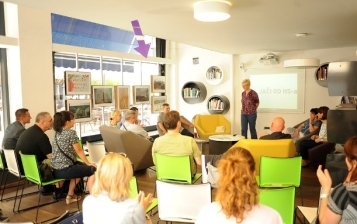 In addition, the added value of the course is that it provides an opportunity for participants and lecturers to share expertise and cross-fertilise ideas. Lastly, by educating MDs, nutritionists, pharmacists and continuously raising awareness on the importance of clinical nutrition and metabolic care, the ESPEN course is ensuring the key preconditions for optimal nutritional care for patients across the world.